me both shaken and awed." ~Cathy L.
Now that Frida is in her house, is Ruth right to fear the tiger she hears on the prowl at night, far from its jungle habitat? Why do memories of childhood in Fiji press upon her with increasing urgency? How far can she trust this mysterious woman, Frida, who seems to carry with her own troubled past? And how far can Ruth trust herself? The Night Guest, Fiona McFarlane's hypnotic first novel, is no simple tale of a crime committed and a mystery solved. This is a tale that soars above its own suspense to tell us, with exceptional grace and beauty, about ageing, love, trust, dependence, and fear; about processes of colonization; and about things (and people) in places they shouldn't be. Here is a new writer who comes to us fully formed, working wonders with language, renewing our faith in the power of fiction to describe the mysterious workings of our minds. Fiona McFarlane was born in 1978 in Sydney, Australia, and holds a PhD from Cambridge University and an MFA from the University of Texas at Austin, where she was a Michener Fellow. Her work has been published in Zoetrope: All-Story, The Missouri Review, and The Best Australian Stories, and she has received fellowships from the Fine Arts Work Center in Provincetown, Phillips Exeter Academy, and the Australia Council for the Arts. 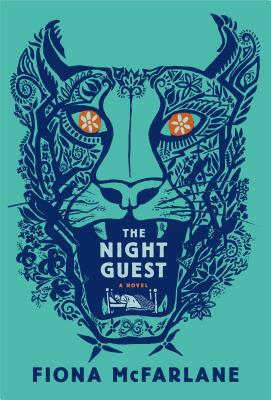 Her debut novel, The Night Guest, was the winner of the inaugural Voss Literary Prize and the 2014 Barbara Jefferis Award.